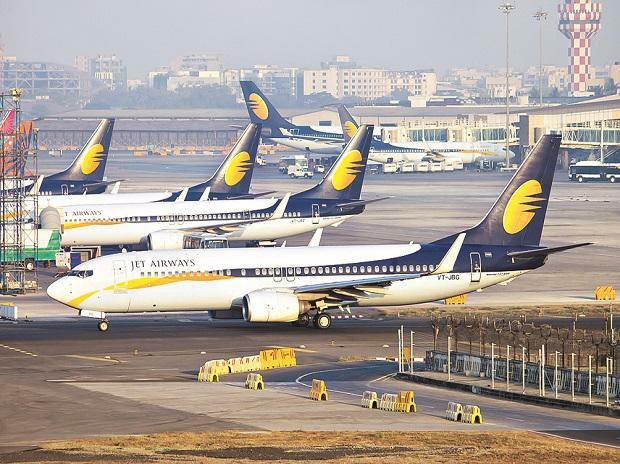 Jet Airways India Ltd.’s fleet has shrunk by almost 90 per cent as the cash-strapped airline struggles to find funds to operate, forcing the nation’s oldest surviving private airline to drastically curtail its scheduled flights amid a hunt for a new investor. The carrier, once India’s biggest by market capitalisation, was forced to ground 10 more jets after it failed to pay lease rentals on time, Jet said in a stock exchange filing Thursday. That means the carrier is now operating fewer than 20 planes, compared with a fleet of 124 as recently as January. ALSO READ: Is Jet Airways heading for a crash-landing? Jet Airways, which broke into the monopoly of state-run Air India Ltd. in the early 1990s, had successfully managed to hold its own in a tough market before a slew of budget airlines started offering ultra-low fares about a decade back. The airline has since lost market share, piled up a debt load of more than $1 billion, and fallen behind payments to banks, staff and leasing companies. The company suspended the traditionally lucrative, west-bound, long-haul international flights until Friday morning, a spokeswoman said late on Thursday. It had already stopped operations to several domestic and overseas destinations including Singapore. The spokeswoman didn’t respond to a call and a text message on Friday. Jet Airways’ creditors have extended a deadline for potential buyers to declare their interest in purchasing a controlling stake until Friday evening. Finding a buyer for Jet Airways is crucial to the legacy of Indian Prime Minister Narendra Modi as he faces an election that began April 11 after holding power for five years. India’s aviation minister Suresh Prabhu has asked the top bureaucrat in his ministry to review issues related to the airline and take necessary steps to minimize passenger inconvenience and ensure safety, according to a Twitter post. Jet Airways shares fell as much as 1.6 per cent to 257 rupees in Mumbai on Friday. They had fallen 67 per cent last year.